Germany has always been a leader in renewable energy technology. Due to this dedication, they were able to institute what is now the 9th largest offshore wind farm by nameplate capacity, BARD Offshore I. BARD Offshore I is an offshore wind farm developed by Bard Engineering GmbH in the German North Sea which consists of 80 turbines, each with a nameplate capacity of 5 MW. This leads to an overall installed capacity of 400 MW (BARD Offshore 1 Offshore Wind Farm). 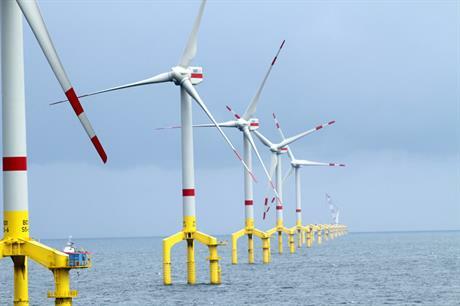 The site spans an area of 59 km2 about 101 km from the shore, with the turbines placed on grounded tripiles in water that is approximately 40 meters deep (BARD Offshore 1 Offshore Wind Farm). The project is stated by 4C Offshore to have a cost of 2.9 billion Euros, which is an extrapolated estimate for capital expenditure based on UniCredit’s Summary Note from January of 2012. UniCredit and the European Investment Bank were the two players who were able to finance the endeavor and kickstart the project and, as of March 2018, there are rumors that Ocean Breeze Energy GmbH & Co. is attempting to sell the wind farm for 1 billion Euros. Due to such a heavy initial investment, Hirtenstein notes that after an unexpected restructuring early in the sites history, the asset was transferred to the Italian bank due to financial inadequacies. The farm has been operational since it’s completion in 2013, meaning that 16 years still remain on the original power purchase agreement made with the German government, which could provide the stable cash flows associated with contracted electricity sales (Hirtenstein, 2018). Although many projects are adequately planned financially, it appears as though there is a trend amongst advancing renewable energy technology in particular of project or even business failure due to a lack of funds. 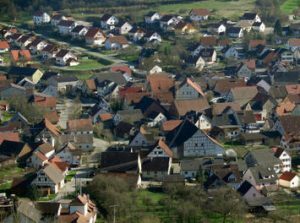 Even in a country like Germany, a renewable energy leader, unplanned expenses can easily derail a project. In terms of the effects of the offshore wind farm on the community, BARD Offshore I is able to power 283,302 houses annually (BARD Offshore 1 Offshore Wind Farm). Note that this statistic may not translate directly across the world as the homes powered annually is directly correlated with the annual consumption per capita, which differs across nations. Additionally, 4C Offshore stated that the farm led to reductions of 572,554 tons of carbon dioxide and 13,315 tons of sulfur dioxide. It would be safe to assume that these statistics are similarly based upon the specific metrics in Germany. Although these statistics are not expected to be exact, it is important to keep in mind that consumer behavior may change as a result of outside influences such as a change in the source of electricity. Such influences may lead an individual to become aware of the importance of renewable energy and energy conservation and thus make the conscious decision to decrease their energy usage. In terms of environmental conditions, the turbines at BARD Offshore I have many of the same effects as any other wind farm. The construction stage of the project lasted for more than 2 years, leading to decent exposure to marine organisms (BARD Offshore 1 Offshore Wind Farm). As opposed to the classic monopile configuration, each turbine now calls for three steel beams to be pile driven into the ocean floor, increasing overall surface area affected. This stage of the offshore wind project would constitute the largest concern in terms of underwater noise as the pilings would have to be embedded into the sea floor. This process was expected to produce more than the ambient noise level of 105 dB anywhere within a 20 km radius. 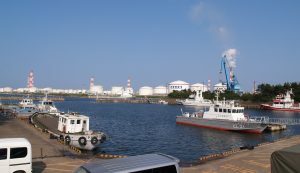 Based on the environmental impact assessment conducted by Arcadis, the decommissioning phase would present almost identical impacts as the construction phase but at considerably lower intensity. Once operational, the issue of underwater noise would still exist but to a lesser extent, with variations in marine organism reactions that is not possible to project with accuracy (Environmental Impact Assessment – Offshore North Sea Power Wind Farm, 2011). Collision casualties from bats or sea birds would, similar to any onshore wind farm, be an issue worth exploring, especially given the massive amount of surface area consumed by BARD Offshore I. Even without direct strikes, an offshore wind farm can affect both fish or bird migration patterns and the cumulative impacts between multiple wind farms can expose a synergistic relationship (Vaissiere et al., 2014). Vaissiere et al. inquires about the environmental impact assessment at its core due to the fact that despite impacts on marine organisms, biodiversity offsets haven’t yet taken hold. If carbon offsets are able to compensate for the weaknesses of fossil fuel energy generation, then EIAs should exercise the power to mitigate and make up for the shortcomings of offshore wind energy. “BARD Offshore 1 Offshore Wind Farm.” 4C Offshore Ltd, 4C Offshore, www.4coffshore.com/windfarms/bard-offshore-1-germany-de23.html. “Environmental Impact Assessment – Offshore North Sea Power Wind Farm.” Arcadis, 6 May 2011, www.ekf.dk/da/om-ekf/CSR-i-EKF/Documents/10296_MER%20Norther_finaal%2006052011_EN%20_FINAL.pdf. Hirtenstein, Anna. “UniCredit Is Said to Plan $1.2 Billion Sale of German Wind Farm.” Bloomberg.com, Bloomberg, 8 Mar. 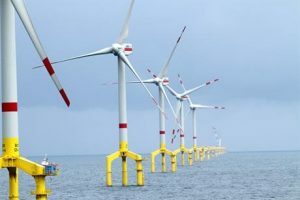 2018, www.bloomberg.com/news/articles/2018-03-08/unicredit-is-said-plan-1-2-billion-sale-of-german-wind-farm. While the original, 2 turbine, 4 MW offshore wind installation off the coast of Blyth, UK has been scheduled for incomplete decommissioning as of January, 2017 (4C Offshore, 2018) due to mechanical and cable failures, the Blyth Offshore Demonstrator Project – Array 2, a 41.5 MW installation is officially operational as of June, 2018 (4C Offshore, 2018). The Blyth Offshore Demonstrator is owned by EDF Energies Nouvelles, a subsidiary of EDF Group, and is being constructed by EDF Energy Renewables, a 50:50 joint venture between EDF Energies Nouvelles and the UK company, EDF Energy. The installation consists of 5 MHI Vestas V164 8.0 MW turbines. These incorporate a power mode uprating to 8.3MW – the largest currently available (EDF, 2017). The installation is located 6.4 kilometers off the Blyth, UK shore. The water depth at the installation site is 29-42 meters. The cost of the project was about 145 million pounds or 192 million USD, approximately 36% of which was spent in the UK. The 5 turbine system produces enough energy for 34,000 homes and save approximately 58,000 tons of carbon dioxide emissions each year. The project incorporates a host of innovations in the foundation process and the use of a 66 kV cable, the details of which will be discussed later. Following approval and lease acquisition from The Crown Estate by EDF Energy Renewables in 2015, permitting, consent acquisition, site investigation, procurement, and seabed preparation, all five turbine foundations were fully installed as of August 18th, 2017 (4C Offshore, 2018). Following turbine and cable installation over the course of September through November the installation was producing power as of November 20th, 2017 (4C Offshore, 2018). A minor issue with a section of the cable array prompted the replacement of that section of cable on December 7th, 2017. The installation was fully commissioned on January 9th, 2018 and the Blyth wind farm was inaugurated by EDF Energy Renewables at the opening ceremony on June 22nd, 2018. The Blyth Offshore Demonstrator Project – Array 2 is expected to be decommissioned at the end of its 22-25-year design life in accordance with the terms of its Crown Estate lease (4C Offshore, 2018). As aforementioned, this project was the first to utilize a new foundation installation technique. This process, a gravity based foundation (GBF) design method, involves floating the foundations into position at sea and submerging them onto the seabed to provide the support structures that act as the foundations for the installation of the turbine towers. 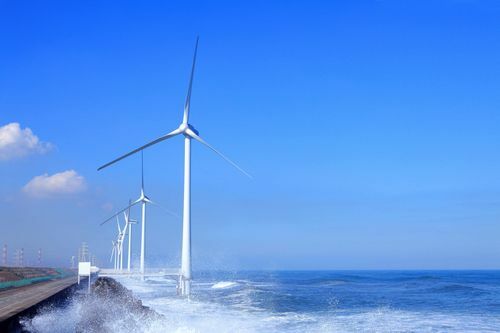 (EDF, 2017) It is the first time this method has been used for offshore wind turbine installation, having previously been used for offshore oil and gas extraction. Current methods of offshore wind deployment consist of the monopile method, in which a monopile is sunk 30-60 feet into the seabed, the gravity foundation method which utilizes a large concrete or steel base, and the tripod method, in which the piles are driven, again, deep into the seabed (Whitlock, 2017). The float and submerge method has the advantage of enabling the gravity base foundations to be towed out to sea by tugboats, rather than utilizing more expensive heavy-lift crane vessels. The design also reduces the need to use expensive marine equipment for the installation on the sea bed itself does not utilize a pile driving technique which has been proven a major source of auditory pollution in the nearshore and offshore marine environments (Peng et al., 2015). While intra-array 66 kV cable systems were not approved at the time this paper was written, their analysis of these benefits of the 66kV system is supported by other studies from organizations such as the Carbon Trust’s Offshore Wind Accelerator (OWA) which also showed that in addition to the benefits discussed by Neumann et al., 66kV systems “increase the power density through the cables and hence result in more cost effective cable systems” and that transmitting power back to shore at this higher voltage is also “a more efficient and cost effective option”. (Ferguson et al., 2012). Furthermore, in 2015, EDF Energy Renewables commissioned Newcastle University to “install C-pod devices at the site to monitor the vocalizations of some marine mammal groups” (EDF, 2017). These devices informed developers of what mammals are doing in the area and also provided information on the relative occurrence and distribution of porpoises and dolphins for monitoring. The devices remained at the site until 2018 (EDF, 2017). While sufficient, some recent studies suggest further monitoring could be useful in the determination of chronic environmental impacts on marine mammal populations specifically (Mann and Teilmann, 2013). The project is a 50:50 joint venture funded by both EDF Energies Nouvelles and EDF Energy (4C Offshore, 2018). The developers pledged approximately 36 percent of the construction cost were to be spent in the UK and a Blyth Offshore Demonstrator Community Fund was established to support local groups and charitable activities in the area. The project also played a role in testing and proving new and emerging offshore installation methods and technologies, encouraging investment in the sector (EDF, 2017). P. Neumann, M. J. Mulroy and C. Ebden, “The use of 66kV technology for offshore wind demonstration sites,” 3rd Renewable Power Generation Conference (RPG 2014), Naples, 2014, pp. 1-6. EDF Energy Renewables. (2017). Blyth Offshore Demonstrator Wind Farm [Brochure]. London. Natural, P. (2017). Natural Power – Blyth Offshore Demonstrator Project Case Study(Rep.). Natural Power. Peng, C., Zhao, X., & Liu, G. (2015). 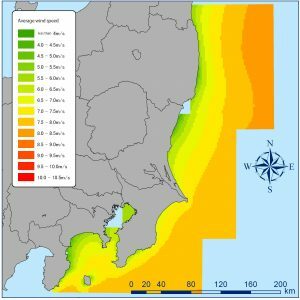 Noise in the Sea and Its Impacts on Marine Organisms. International Journal of Environmental Research and Public Health, 12(10), 12304–12323.